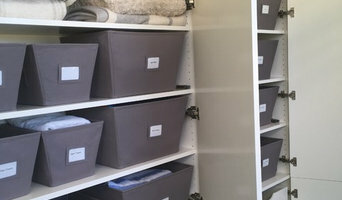 Beautiful, practical storage systems using every inch of your space, designed by a professional organizer with 30 years experience. Custom units beautifully built by a small, local and quality shop. 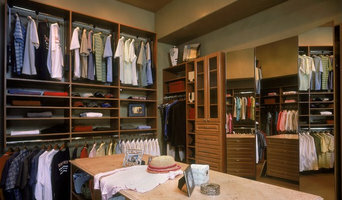 Custom closets in a vast array of finishes, as simple or ornate as you please. My clients experience the joy of having their clothes visible, organized and protected. Garages can be transformed from a dumping ground to a beautiful and useful addition to your home.... Toni also specializes in paper management, filing systems, handling the mail and tracking income and expenses. Before hiring a professional organizer, consider exactly what you need. 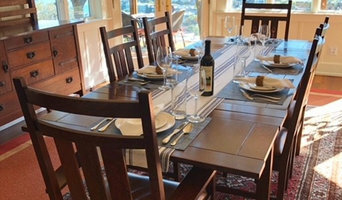 Have you just moved into a Suisun City, CA home and have no idea where to put everything? You may want to consider an organizer who specializes in room-by-room space planning or estate organization. Perhaps you’re faced with a tiny closet and an overflowing wardrobe. In that case find a professional who focuses on closets to help you get back on track. Also consider the types of objects that need organization. Are they items like books, family photos, files or collections? You’ll want a professional organizer who has experience designing custom systems with Suisun City, CA companies that will best fit your needs. Find a professional closet and home organizer on Houzz. 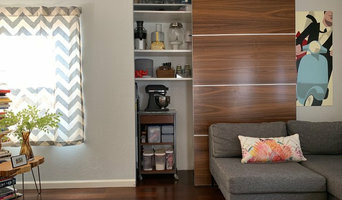 Narrow your search in the Professionals section on Houzz to Suisun City, CA closets and home organization.